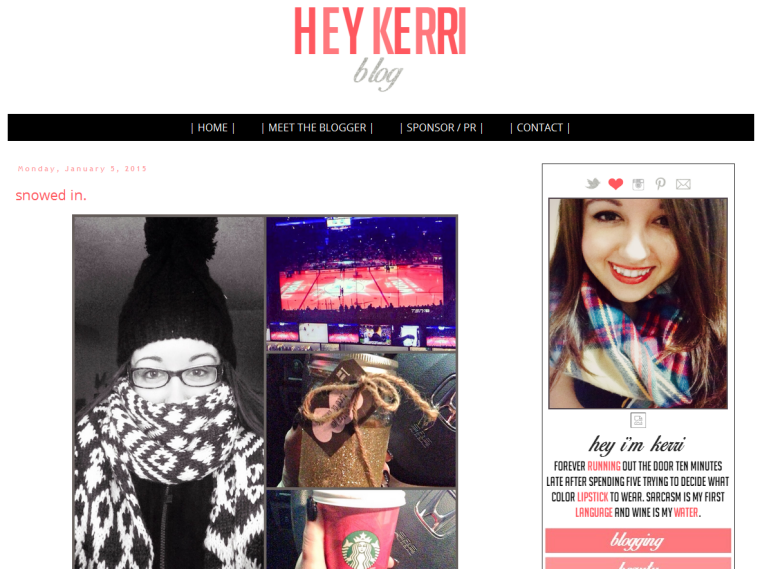 This month, I'm featuring Kerri. We go back years, back to a time when LiveJournal was the place to be. It's funny because Kerri was in my dream last night asking me to look for a product for her that she couldn't find anywhere. I set out on an epic search, but woke up before I could find it for her. Drat! (That dream is probably the outcome of reading a few beauty blogs before bedtime.) But hey, I had her back on finding that item! Anytime, girl! If you guys enjoy fun lifestyle posts and a gal with humor, you'll love Kerri.